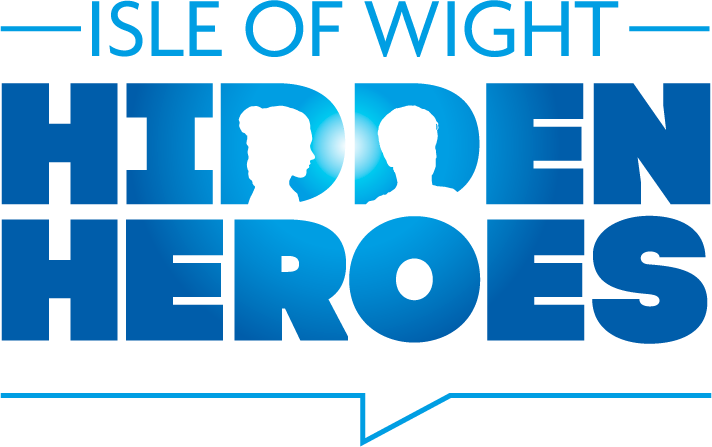 Do you have a relative or ancestor who has achieved something of note whilst on the Isle of Wight? Your Heroes can be as wide-reaching as you like. It’s all about unearthing the people who haven’t been acknowledged. Below are some of the Hidden Heroes already shared with us. Anne Preston’s disabilities didn’t stop her from setting up and running I.D.A.G (Island Disabled Action Group) through which she helped people with disabilities gain access to help, when they couldn’t get it from other health professionals. Anne did such a lot more to help the Island’s disabled become able and to not give up, and fight towards being recognised in the workplace as equals. Sadly Anne Preston passed away in April 2000 and has never been recognised nor awarded for everything she did, she held a place in everyone’s heart who she helped. Great commercial success followed due to Michael’s inherent talents at design and commercial marketing. During 2013 the Studio relocated to new state of the art premises at Arreton Barns Craft Village under the ownership of another Harris family member ~ Richard Harris, Timothy’s uncle and Michael’s younger brother, where it continues production of one of the world’s great studio glass products. The continuation of this tradition of excellence of design and production is driven, as it has been for many a year, by Timothy Harris, one of the Island’s ‘Hidden Heroes’ – supported by his team, his mother Elizabeth and the new owner, Richard Harris. Michael Sydenham apprenticed – after Regent Street Polytechnic – at JS Whites in East Cowes, before signing up for service in the Merchant Navy until after the war. When Mike found himself owning the only Catamaran in Cowes, he built a fleet of them in our garden in Northwood so that he could race against other catamarans. He was being handicapped in races against single hulled boats and even though he often came in way ahead of them he couldn’t win. Mike’s interest in photography was used when he bought a Boston Whaler, which he needed to photograph yachts in Cowes Harbour. At home Mike made five Congreve rolling ball clocks, a quarter size Burrell Traction engine and restored a Rolls Royce 1930 – which took 13 years of spare time! Mike’s father, Rev Edward Alan Sydenham, was honorary curator of Carisbrooke Castle during the war and he set up the Museum, persuading Princess Beatrice to vacate her quarters. He parascended around the Island for three and a half hours and raised £3,500 for St Mary’s Hospital, through Newport Rotary Club. He’s also completed Walk the Wight many times. This year (2018) will the 20th year he has put on an exhibition, displaying 1000s of images of the Isle of Wight that he’s collected over the years. Through Price’s Garage in Newport, he’s helped local lads make a start in life in the motor trade. Barry is 79 this year and still going – there are a lot more stories to tell. It was a rendezvous with his piano tutor Mr Toogood that took Colin to the Town Hall on 7 June 1940 whereupon, being aware of his presence, his father Mayor – HWO Weeks – asked a clerk to direct his son to the Mayoral parlour when his lesson was over. Colin duly complied with a self-confessed feeling of ‘what have I done now’.